Show your spirit in style! Our college cut out logo pendant is made from solid sterling silver. State of the art laser technology helps us duplicate your favorite logo in exact detail. These charms are designed to stand up to everyday wear and tear. As with any high quality jewelry item, the more you wear it the better it looks! Metal: Solid Sterling Silver Made in the U.S.A. 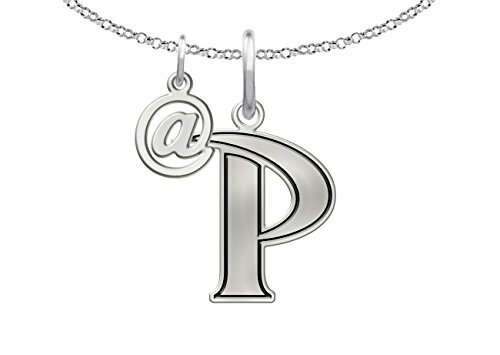 Size: 3/4" Chain Length: 16" with 2" extender Logo application: Laser engraved "The indicia featured on this product are protected trademarks owned by the respective college or university." 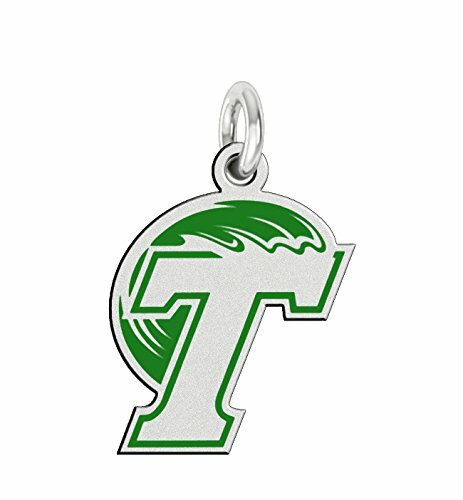 Tulane Green Wave Charm made in solid sterling silver with natural finish background. 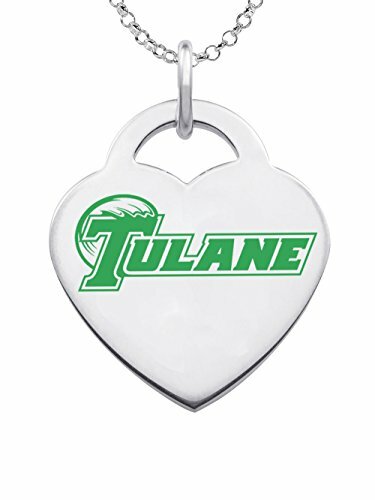 Tulane Green Wave charms can be worn on a chain or dangle them from a bracelet. Our jewelry has the finest detail and are the highest quality of any Green Wave charm or pendant available. In stock for fast shipping and if for some reason you don't like it? Send the charm back for a full refund. 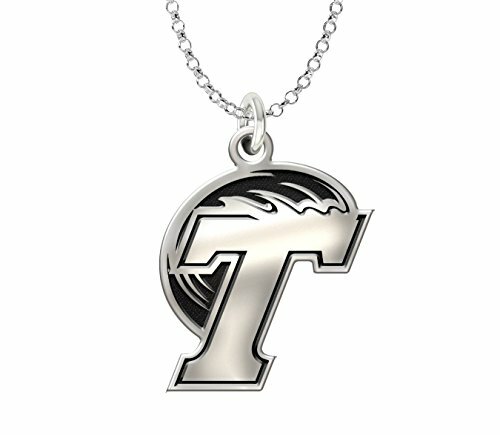 Tulane Green Wave Sterling Silver Charm Metal: Sterling Silver Background: Natural Finish Made in the U.S : Yes University Licensed: Yes "The indicia featured on this product are protected trademarks owned by the University of Tulane." Our @CollegeCharm Collection is a fashionable combination of our sterling silver @ charm and your favorite college logo charm. 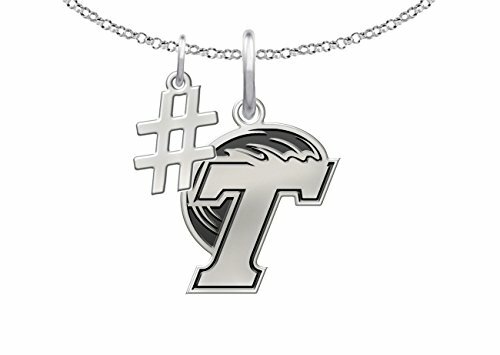 Solid sterling silver and up to date technology are used to create this modern collection......."the indicia featured on this product is a protected trademark of the respective college or university"
Our #CollegeCharm Collection is a fashionable combination of our sterling silver hashtag charm and your favorite college logo charm. 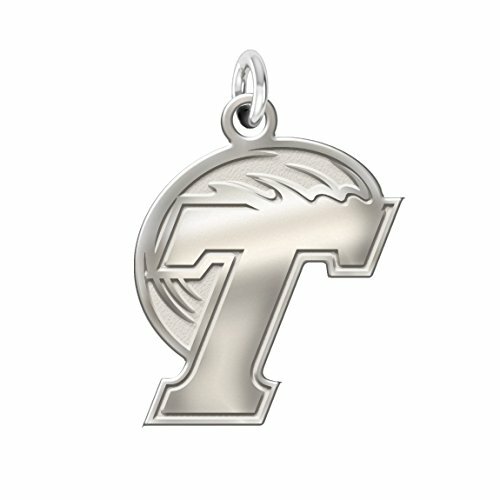 Solid sterling silver and up to date technology are used to create this modern collection...... "The indicia featured on this product is a protected trademark of the respective college or university"
Our newest designs in Collegiate Charms. This colored heart collection features your favorite schools logo or mascot in a Durable Enamel Color over solid sterling silver. With a variety of styles to choose from you will always be able to find the perfect charm. Spirit with style!..... "The indicia featured on this product are protected trademarks owned by the Tulane." 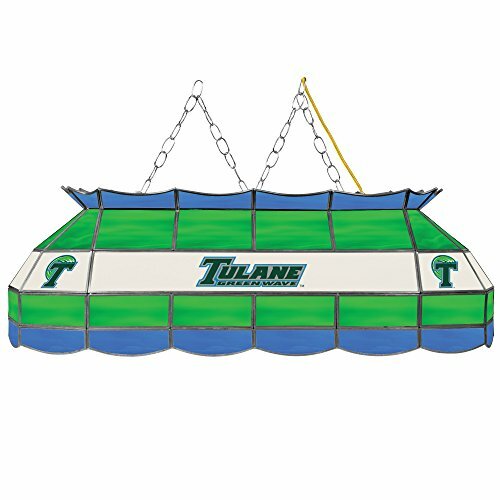 The officially NCAA licensed, Tulane University 40-inch stained glass Tiffany lamp is the perfect gift for the NCAA fan in your life. Use for your lighting your billiard table, kitchen table or even your dining room table. Great for gifts and recreation decor. Looking for more Wave Logo Pendant similar ideas? Try to explore these searches: 2 Stage Burner, Cherry Wood Curio, and Whole Peel. Look at latest related video about Wave Logo Pendant. Shopwizion.com is the smartest way for online shopping: compare prices of leading online shops for best deals around the web. Don't miss TOP Wave Logo Pendant deals, updated daily.